Cash is King & We Are Dealing !!! Also Guaranteed Credit Approval is Available !!! The Lexus RX 330 was redesigned and introduced as an all-new model for 2004. Sleeker, more stylish and more powerful than the best-selling model it replaced, the RX 330 glides into its second season with added luxury. 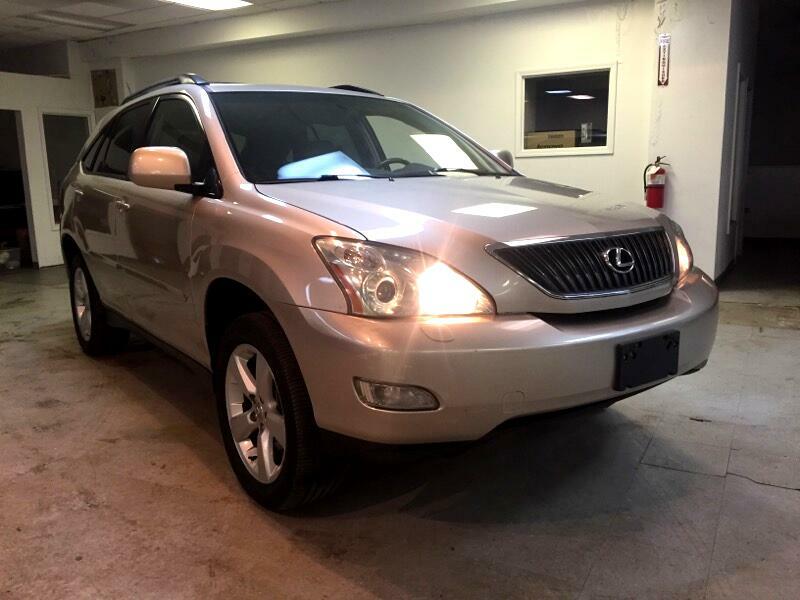 The Lexus RX set new standards for the modern luxury utility vehicle when it was introduced. The original RX 300 pioneered the crossover style of SUV based on a unibody car platform rather than a heavy-duty truck frame. Crossovers offer improved ride and handling. They offer more cargo room than a car. They also give the driver a better view over the traffic and a sense of security from an elevated driving position. The 3.3-liter V6 engine is smooth and quite responsive around town. It's rated at 230 horsepower, but more important is its torque, that force that propels you from intersections and up hills. The V6 delivers 242 pound-feet of torque at a relatively low 3600 rpm, giving the engine strong response at all speeds. The all-wheel-drive system dispenses with the locking center differential and viscous couplings of truck-style 4x4 applications, in favor of a system that uses the ABS to slow any wheel that slips and spins. The system automatically routes power to the wheels with the best grip.